Welcome. I am a professional authentic psychic intuitive and I welcome you to a place where you can get a reliable authentic psychic reading, Accurate Online Psychic Reading, Phone Psychic Reading, Tarot Card Reading or Numerology Reading Today. First-time callers are eligible for my Free Psychic Reading Offer! Spend some time here and you’ll learn a lot. 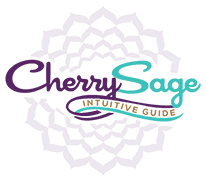 This is a place where you can experience a truthful, authentic and accurate online psychic reading with real psychic answers to your many questions and concerns by personal consultation with Cherry Sage. Please read my testimonials so you can see how my gift for giving astonishing insights and accurate psychic predictions has helped so many of my clients, if you are looking for an authentic online psychic reading, or psychic phone reading, a tarot card reading or numerology reading– even a free psychic reading offer. I have many years of relevant experience, and I am known for my providing truthful readings with integrity, for my accuracy, and not least of all, for unveiling and unraveling significant details of some of your life’s undeniable mysteries. All consultations are confidential. First-time callers get 5 free minutes on their first call. It’s really very simple to make an appointment with Cherry Sage. First, check my availability through my Appointment Scheduler where you will find my available times and options to purchase the amount of minutes you desire. To access the Appointment Scheduler click Appointment Scheduler from the top menu, or simply click the CONTACT tab at the bottom of the page. Lastly, if you prefer, you can call or e-mail me to schedule an appointment. Use Contact button to e-mail me or simply call me at my number above. That’s it! I look forward to our chat! Click CONTACT tab at the bottom of the screen to Check Availability, Prices, or to Make an Appointment Request. Easy Checkout for returning clients who made appointment by phone or e-mail. Click to Shop. Please call to schedule an appointment or if you already have an appointment scheduled. You may click any Appointment Scheduler link to request an appointment. Seekers of the Light, if you’ve read my testimonials, then you’ll know that you can expect honest, accurate details in your psychic or tarot card reading. I need to tune into the person or persons involved in your questions and once I feel it, sense or see it, then I am able to provide you with the deepest details regarding your situation. I love what I do and I want your experience to reflect the quality and excellence I’m committed to giving. Now relax and be ready with your questions. The clearer your questions the clearer the information will be that I receive. Any questions? Call now, toll-free 1-866-TOP-ADVICE. 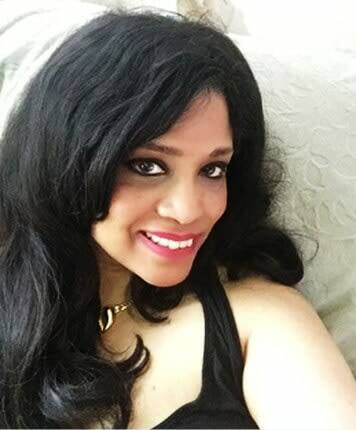 Learn more about Cherry’s Live Psychic Readings. Are Online Psychic Readings the way to go ? A most detailed perspective of your life—past, present and future. Why you are here. There are no other numerology reports that are this accurate. Know who you are! I do not know where to begin when it comes to cherry. A few months ago I found myself in a horrible situation and faced with the toughest decision of my life. I was pregnant and alone. I was considering placing the child for adoption with a family that I had known and was very close too. I felt in my heart it was the right thing to do, but not sure. Not only could cherry describe this family perfectly but also new the adopted mother had been struggling to have a child. She was able to predict the date of the babys birth and even new that his name would be connected to them. She even knew he would look like the adoptive father. Everything she has predicted so far has been very accurate. She helped me to know that he was going to have a wonderful life with them and that it was truly part of my destiny to give them a child. I love cherry and am so grateful to have had her through the hardest time in my life. I have had several readings with others but no one and I mean no one is quite like her! She saw me shaking right as I was shaking. She read my man like a book. She also gave great advice. She was worth every penny and I will definitely be contacting her again. I was referred to Cherry 4 years ago by a friend, and I have been speaking to her ever since. 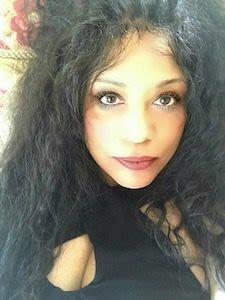 She is hands down the most reliable, accurate and compassionate psychic guide. Whenver I am going through something tough, I always leave the call with complete peace, and a new found confidence with in myself. Cherry never disappoints, and I can’t imagine my life without her kindness and guidance!